Pet stores offer a variety of wood toys for small animals, but not all of these products are safe for pet rats to chew. Even if rat toys are constructed of nontoxic wood, they might be colored with unhealthy dyes. Some types of wood from trees, branches and twigs you find outdoors can endanger your rat, and all natural, nontoxic woods require cleaning, drying and curing. Do Rats Need to Gnaw and Chew? The word "rodent" is derived from the Latin word "rodere," which means to gnaw. Like all rodents, pet rats have teeth that never stop growing and must keep those teeth at a healthy length by chewing on hard foods, by gnawing on wood and other materials and by bruxing (grinding their teeth). If rats do not gnaw and chew on materials such as hard foods or wood, their incisors might become overgrown, eventually penetrating their palate and preventing them from eating. Soft, aromatic woods, such as cedar and pine, do not belong in your rat’s habitat, because they contain phenols, compounds that are acidic, poisonous and caustic. Pet stores sell bags of pine and cedar cage bedding with no warning of potential health dangers. Many people use this kind of bedding, because it is described as natural and is an inexpensive, easy-to-find product. Inhaling or ingesting phenol oils in cedar and pine will irritate your pet rats' nasal passages, throats and lungs, and can lower immune resistance and cause permanent damage to their respiratory systems and kidneys. Wood from trees of the Prunus family are typically unsafe for rats, so avoid giving your rat any branches or twigs from peach, almond, apricot, plum, nectarine and all types of cherry. Pits or stones in these fruits contain high concentrations of cyanide, a toxic substance found throughout these trees. Chewing, gnawing and ingesting any Prunus tree parts can cause abdominal pain, vomiting, diarrhea, cyanosis—a lack of oxygen in the blood—respiratory congestion, decreased heart rate, seizures, coma and eventually death, especially in small animals. Serious symptoms can be caused by toxic substances found in tree woods. Chewing any part of the yew tree can result in nausea, diarrhea, convulsions and eventually death. Pet rats may experience kidney damage if they are allowed to gnaw on and ingest the wood or acorns of the quercus species of oak tree. Bark from both the elderberry and black locust tree is toxic, and your rat should never be exposed to either trees' wood. Your rat must never be allowed to chew on wood of buckeye or horse chestnut trees. The toxins in both trees can result in inflammation, cognitive impairment, loss of consciousness and paralysis. 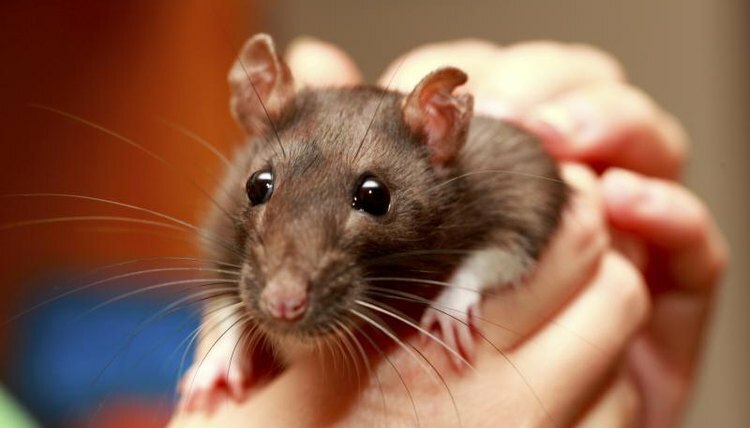 Even nontoxic woods can be unsafe for rats to chew. When putting branches or other wood furnishings in your rat's cage or giving your rat any wooden objects to gnaw on, use only pesticide-free, unpainted and untreated wood. If you have any doubt about the where the wood comes from, err on the side of caution by finding safe wooden toys made especially for pet rats. Nontoxic tree and plant woods are not safe for rats or other small pets to chew until you have scrubbed the wood, using hot salt water, to remove all surface dirt. After the wood is clean, heat it for about 30 minutes in a 250- to 300-degree oven or sun-dry it until it is completely dry. This process should sterilize and dry out the wood, and prevent bacteria growth. Chinchillas 2 Home: So What Is a Safe Wood for Our Pets?